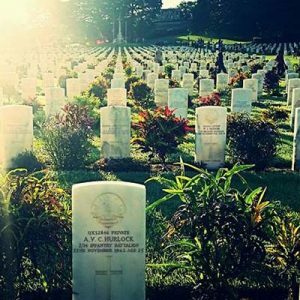 This amazing Anzac Kokoda trek will start out in Port Moresby at our luxury accommodation and travel to Bomana Cemetery for one of Australians biggest over seas Dawn service. The following morning we awake early and Travel to Owers’ Corner to begin our amazing trek over the Owen Stanley Range. 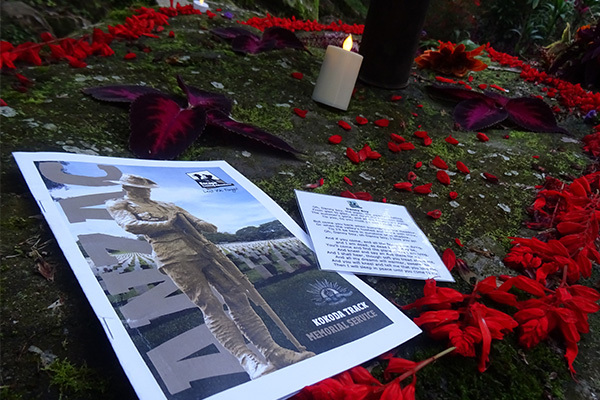 Our Anzac Kokoda Trek is conducted over 9 days on the trail. 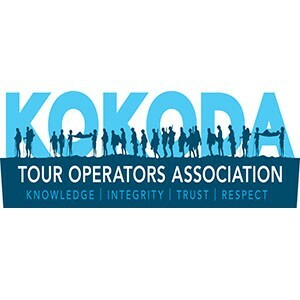 The conclusion of the trek is at Kokoda where celebration photos will be taken before making our to Port Moresby for a shower and our last meal as a group together in our hotel accommodation. 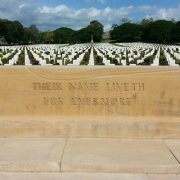 This morning we are up early and head on the road out to Bomana Cemetery for a very special dawn service. 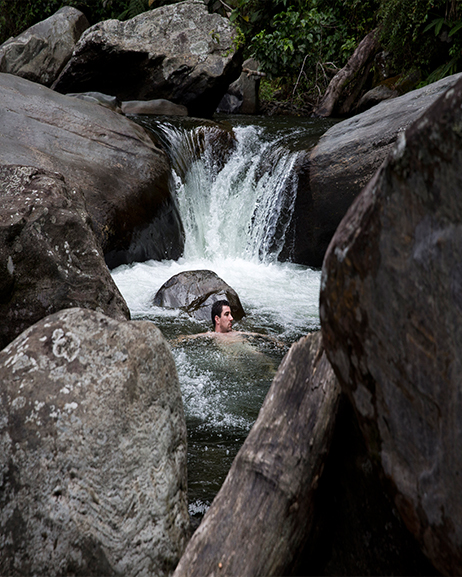 The with group now excited but apprehensive to get trekking arrive early at Owers Corner, we progress on for a Short descent to Goldie river where we cross this famous wartime stream and head on our way to Goodwater campsite for an Lunch and our first overnight stop. 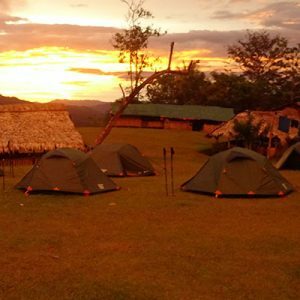 We rise early and prepare for a long hard days hiking which will see us rise up over Imita ridge, it is a solid climb. It is quite a challenging climb and trekkers should be aware to pace yourself. On the northern foot of Imita Ridge, (where the Salvos had a ‘Hop In’ tent erected during the war, serving refreshments to the soldiers) we pause for Morning tea. After morning tea we head into Ua-Ule creek where we will cross the creek numerous times (18 times in total in this valley) and take a short break here. We continue on and make our way to Ioribiwa village where we will arrive just after lunch and enjoy the amazing sunset this place has to offer. This morning we ascend another tough climb up Ioribiwa ridge. On top of Ioribiwa we will stop and pause to be briefed on the Japanese and Australian defensive positions. From there the group continues down the ridge to Ofi Creek. This trek will take around 1 hour, depending on the pace of the group. We stop here for morning tea before continuing on. Today we will trek up the ridge where it is easy to get discouraged with the 9 false peaks. The horizon this morning never seems to let up but the group encourages each other and before long you reach the top and trek down to Nauro. After breakfast we descend for a further 40-60 minutes before reaching the Swamp, we will see plenty of mud this afternoon before reaching the Brown river to wash off a little. The Brown river crossing is a little tricky at times and takes our porter team time to prepare the crossing so you can cross safely. From the Brown river it is a short 20 minute walk to another river crossing. After the crossing we begin walking on fairly flat terrain before we hit what the diggers called the wall. This is steep section that in 1942 with primitive footwear must have been a challenge to climb. Today we ascend this much easier and find this to be another long and sustained climb up to the Menari gap. After a short rest we descend down to Menari, on the trek down the ridge the group will be shown the lookout to Menari, and be briefed on Japanese positions in the area during their advance. The group will enjoy an early lunch at a nearby guesthouse for a rest. After lunch will trek up towards the top of Brigade Hill another changeling climb that requires persistence and a steady pace to ascend. Once upon Brigade Hill you will instantly see why this is a special place and has the most eerie feel, often the clouds roll in over the summit. After a special service we hold here for the Battle of Brigade Hill and Mission ridge we set off to Efogi village one of the bigger villages in the area. We will stop here for a short rest before a short descent and longer ascent unto Efogi 2 (Launumu village) for morning tea. From Launumu we descend down a short and sharp drop to a river crossing before ascending up the other side which is steep to begin with but flattens out a little and is a rather sustained ascent of up to 3 hours depending on the track conditions and our pace. 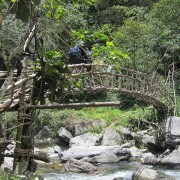 Today will either have our Lunch beside the creek of our final ascent in to Naduri or in Naduri village its self. Group pace and track conditions will determine this out come. We rise early and prepare for a long hard days hiking which will see us rise to the highest point on the track (2240m). We stop for Morning tea at 1900 and lunch will be held in Oro Province (the northern side of the range) at Bellamy Base camp. After lunch in endures 2 hours of solid ascending and descending beside Eora creek. 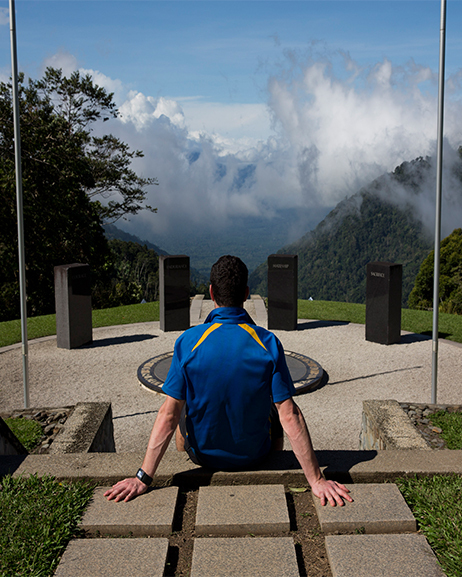 Today we will pass many Australian weapon pits that were used in the fighting withdrawal in 1942. Tonights camp will be at Templeton’s Crossing. Some trekkers say that this is their favourite spot, and you will understand why as you stop for a rest. 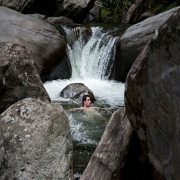 The trek this morning is a tough one and seems to be extended, and the track drops a lot leading down into Eora Creek. 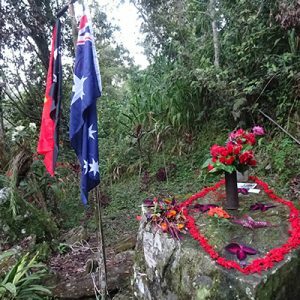 Coming down into Eora Creek, it is easy to recall the wartime photo taken by Damian Parer, as you descend past the location where he stood to get the picture of the village in full action. After morning tea you are briefed on the events that took place in this area. 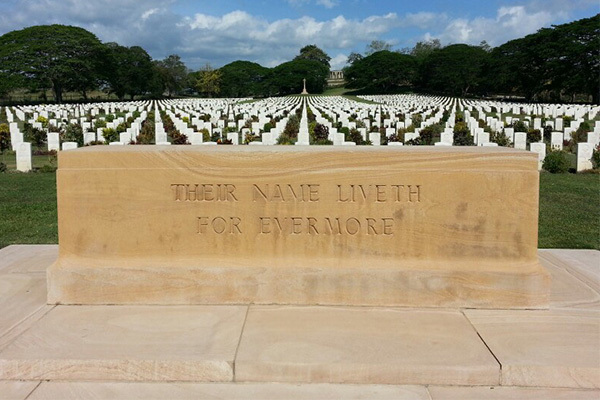 The situation that surrounded the Australian soldiers during their advance was hard to fathom. Eventually being trapped with the Japanese soldiers in an elevated position, the Japanese were only over run and forced to retreat when Australian troops we able to come around an attack from an elevated position. 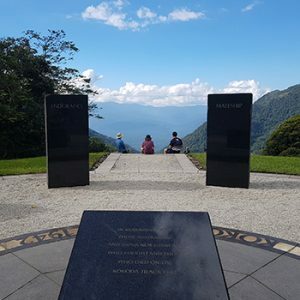 Your group will take a short detour up to view the Japanese position, and it is a very impacting time. 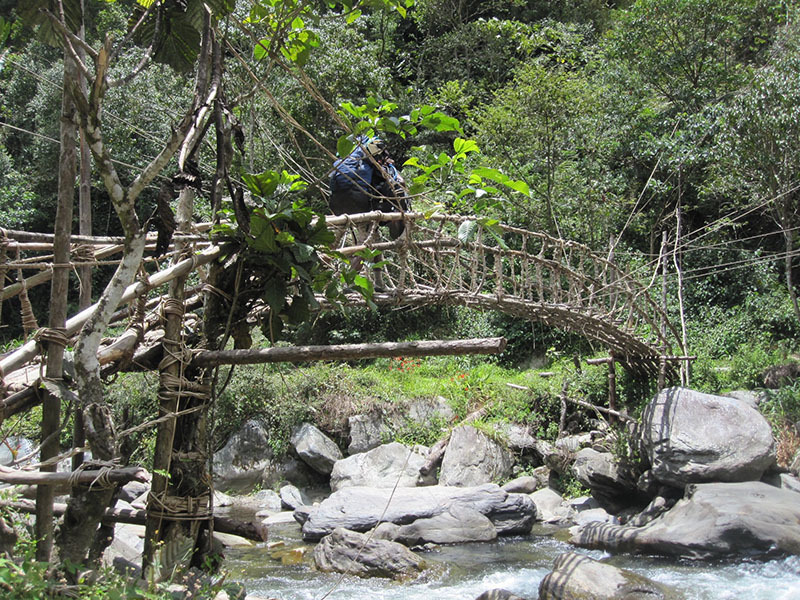 Some trekkers do not take this detour, but we recommend viewing this being only a 5 minute walk. You will continue along the track and climb up to Alola for lunch before moving onto Surgeon’s rock for tonights stop. 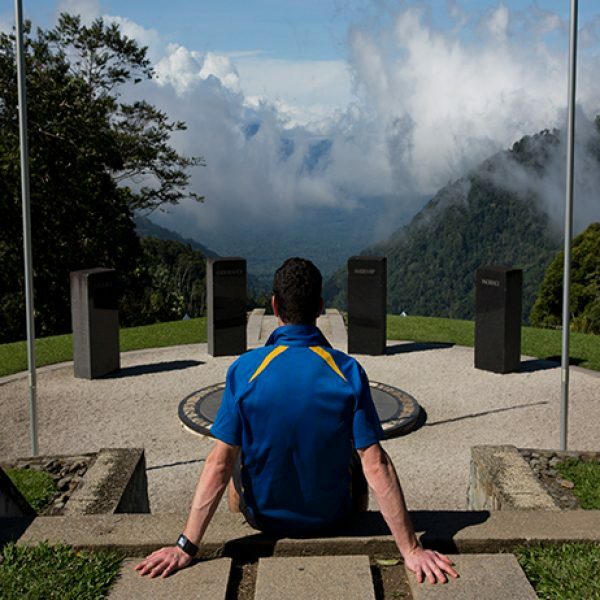 With Kokoda in the distance, the group will trek to Isurava Battle site for a briefing and commemoration. Back on the trail again we trek to Isurava village for morning tea before traveling through the lush green choko vines that reach into the canopy of the trees. 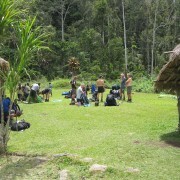 The trekkers will continue to move down the Owen Stanley Range to Deniki campsite for lunch. 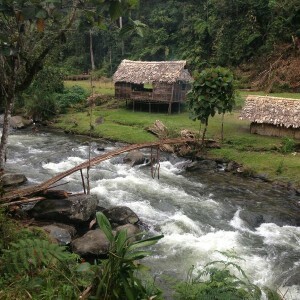 After a welcomed rest, the group will continue to Hoi village for our last night on the track. Hoi is an amazing little village with a clear lush creek running beside it. 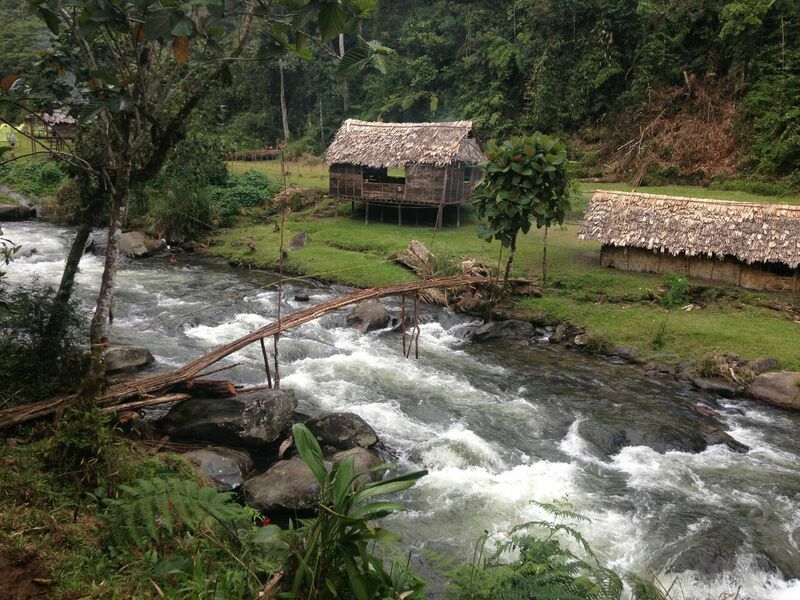 Day 11: Hoi to Kokoda to Port Moresby. 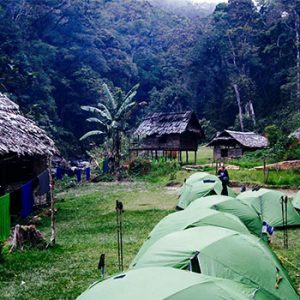 Up early this morning to conclude our Trek at Kokoda and catch our flight over to the south side of the track to Port Moresby. 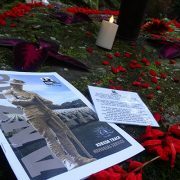 After arriving in Kokoda, we will take walk to the Kokoda Museum (if open) and be briefed on the Kokoda battles. After our briefing we head aboard our vehicle and travel to Popondetta for our flight. Along the way we will stop at Oivi hill, Kumusi river for briefings. 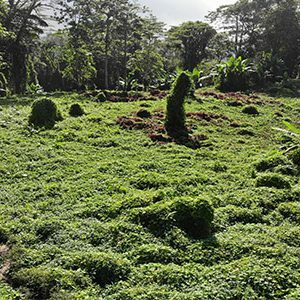 Once at Popondetta we will board our flight back to Port Moresby and return to our hotel for a shower and last meal together.